Thoughts of Lent this year revolve around the presence of Christ found through-out the Bible and in Church History. The presence of Christ was experienced in the Garden of Eden, in the Flood and in the lives of the Patriarchs. It was also typified in the Exodos Passover, in the giving of the Ten Commandments, in the Divinely commanded ceremonies Israel was told by God to practice and in the writings of the Prophets. But, as we know, the Presence of Christ impacted our world most when Jesus walked this earth. He lived and died here on earth for us all that we might be drawn into the Presence of God, Father, Son and Holy Spirit, today and forever. At Pentecost and through the ages of Church history Christ has continued to manifest His presence in our hearts to a world cast away from God. David’s words in Psalm 51 will lead the exploration and rediscovery of Christ in everything. 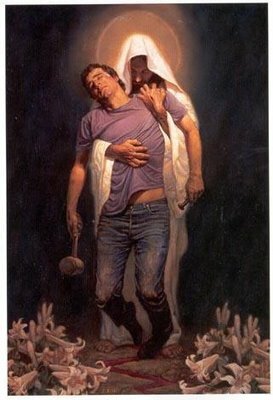 For whenever we sin by turning away from the LORD who is Spirit, we also experience these agonizing feelings that David felt when he said “Cast me not away from Thy Presence and take not Thy Holy Spirit from me.” May God renew your hearts this Lent and encourage you to enter into the joy of Christ’s salvation with a conviction to do His will every step of the way.